The Retro Challenge is getting closer. It’s tough not to just dive right in to the project, but I’ve got to wait until July 1. In the meantime, I’m slowly putting together the missing pieces that I will need to get my Horizon up and running. I have sourced some precious hard sectored floppy disks – an entire box of 10! I have a tracking number, so these should be here soon. 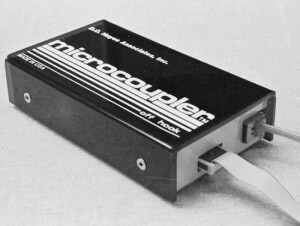 The other item I thought might be difficult to locate was a micro coupler for the Hayes Micromodem 100. I found one on Ebay for a price less than the cost of shipping it to me! I also ordered the components I need to add the boot PROM socket to the processor board. Those arrived overnight from Digikey.